Q. How do I find dissertations or capstones by author? 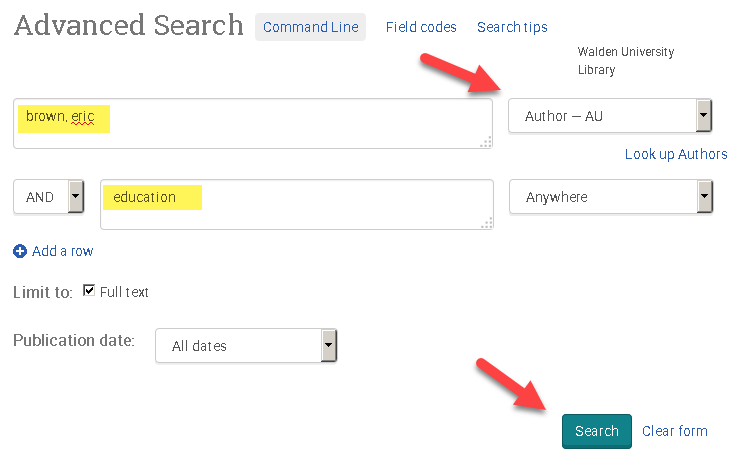 You can find dissertations or capstones by author in the ProQuest Dissertations database by doing an advanced search for the author's name. 2. In the All Dissertations box, click the Dissertations & Theses link. You may be prompted to log in with your myWalden Portal user name and password. Search all dissertations. You may be prompted to log in with your myWalden Portal user name and password. Note: If the author's name is common, try adding a keyword related to the dissertation topic in the second search box.